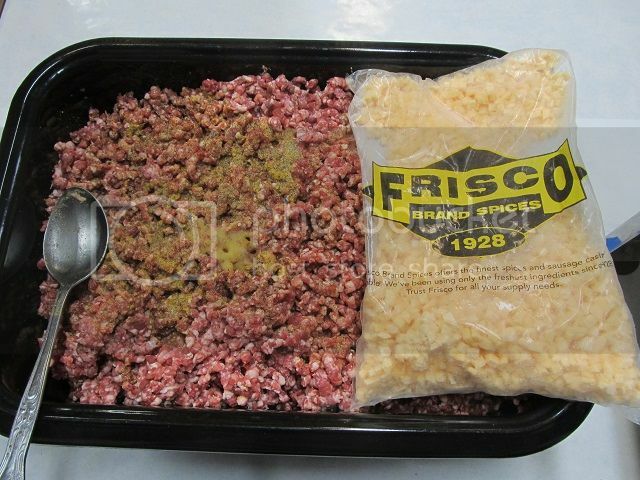 Being from Wisconsin (home of the bratwurst) and an avid deer hunter after a successful season, its time to make a 25 pound batch of cheddar brats using Frisco spices cedar bratwurst seasoning packet. 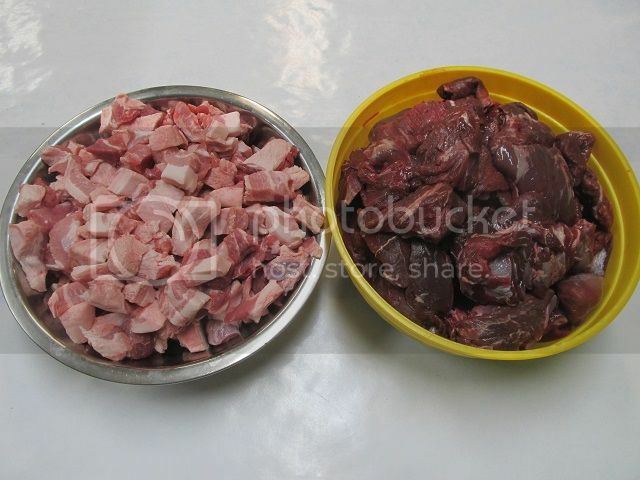 Im using 10 pounds of venison and 15 pounds of fatty pork jowl. The first grind is through the 1/2 plate. The 2nd grind is through the 3/8 inch plate. After the 2nd grind I add the seasoning packet mixed with 2 cups of cold water. The last step before mixing is to add the high temp cheese. The small cubes of cheese are about the size of whole kernel corn. Im stuffing the brats in 35mm natural casings. Natural casings are packed in salt. 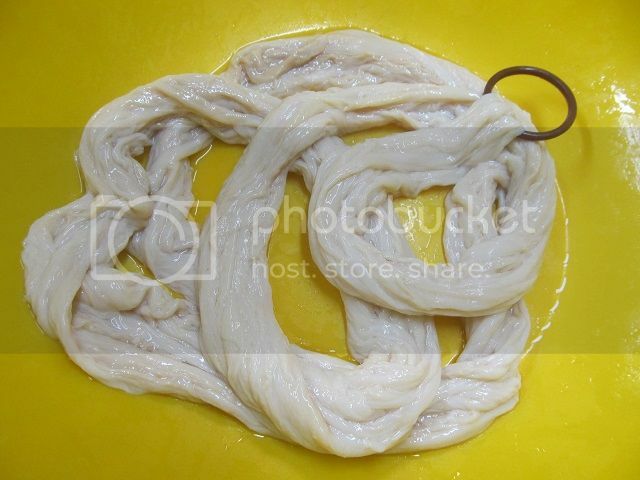 The casings need to be rinsed and flushed with cold water. 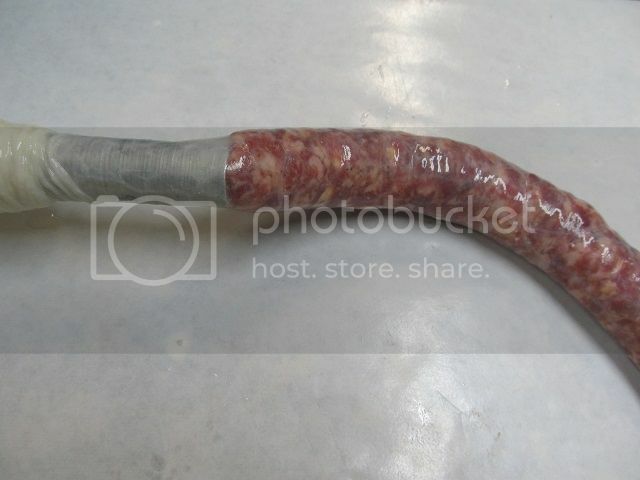 The stuffer is loaded with the meat and a casing is slid over the horn. Then the stuffing begins. 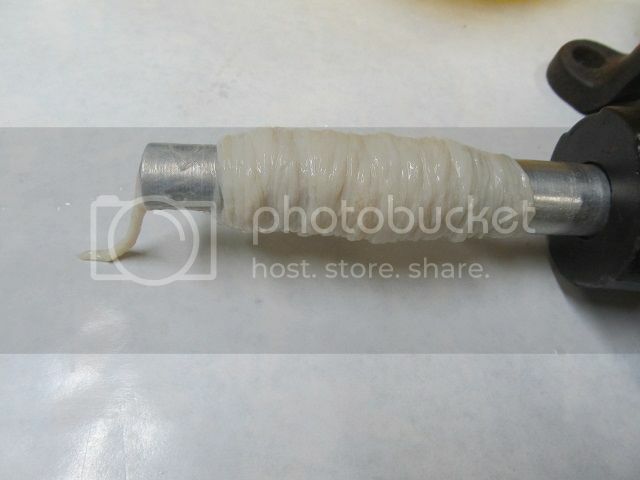 Because the casings will be twisted (linked) Its best not to over-stuff. The act of linking each end makes the casing plump. 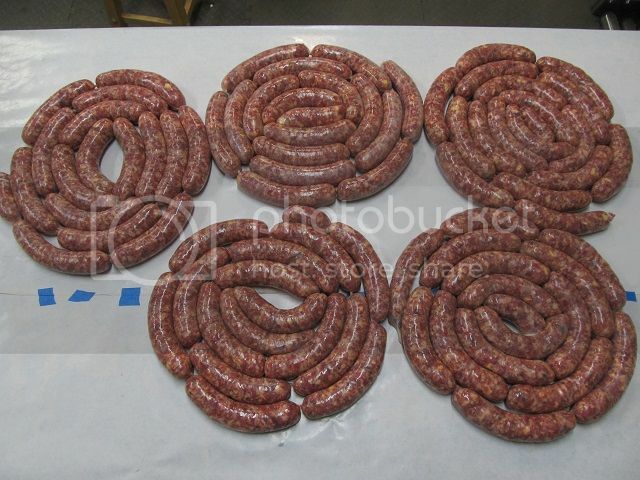 The casings are stuffed and waiting to be twisted into brat sized links. 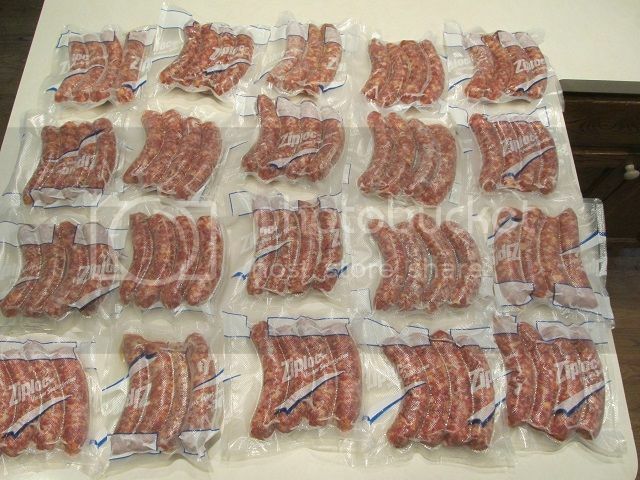 The last sausage on each casing is bound to be irregular in size (on the small side) Those are for the taste test. It turns out that a George Forman grill (if not watched closely) can overheat the brats causing the cheese to seep out. Since these tiny irregular ends are not bun sized I skipped the bun. 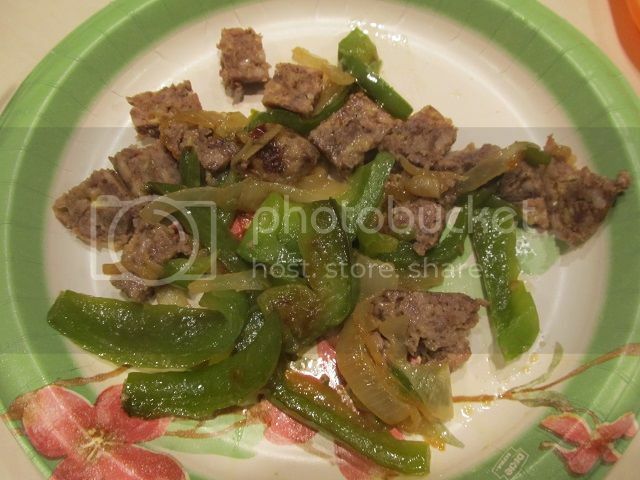 I fried up some peppers and onions to round out the meal . The flavor was perfect. Having grown up on brats Ive had just about every type of brat known to man. This seasoning packet produces an excellent flavor. Im pleased with the results. I didnt stuff all of the meat into casings. I turned a portion of the meat into brat patties. 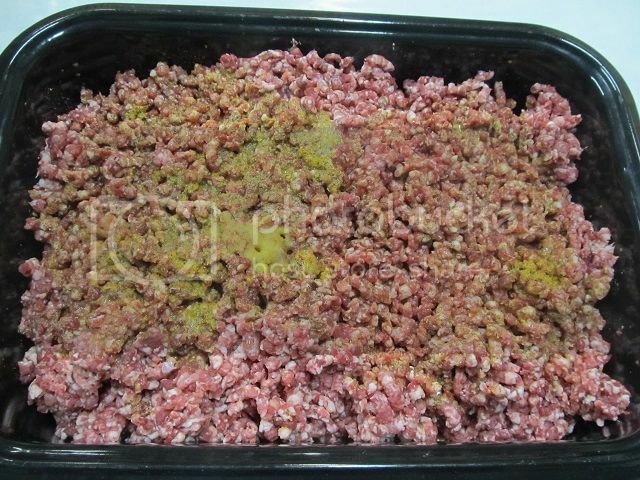 The links and patties are placed on large sheet pans and placed in the freezer for a few hours to firm up so that the meat can withstand the compression of the vacuum sealer. 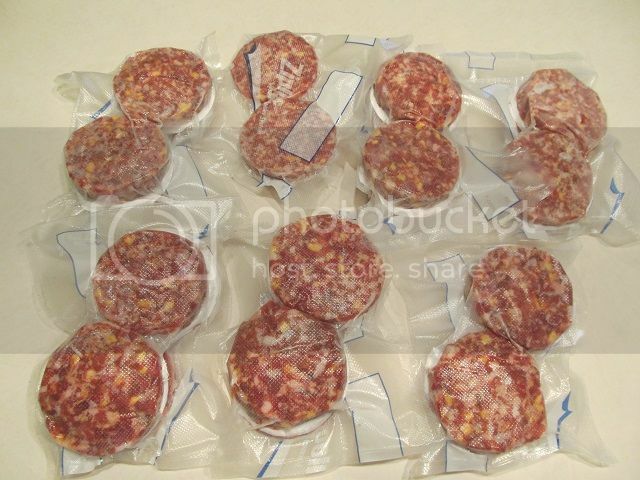 If they weren't frozen first the sealer would flatten the links and push the meat out of the casing. 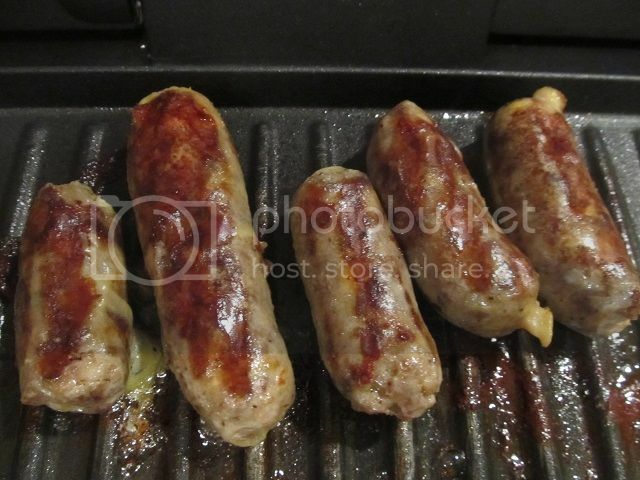 Here are the brats that I linked into sausages. 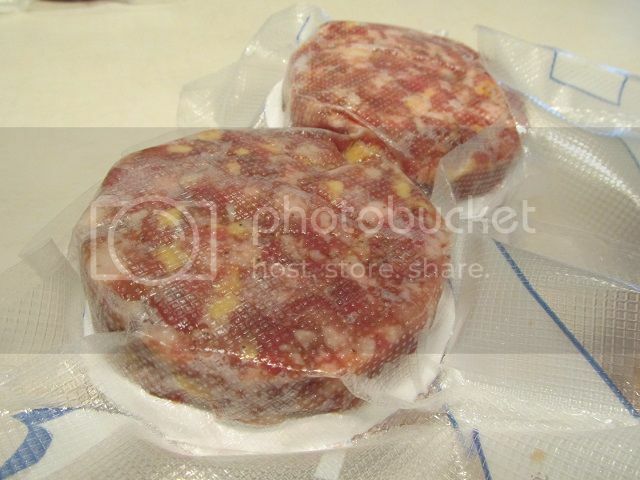 The brat patties packaged 4 to a package. 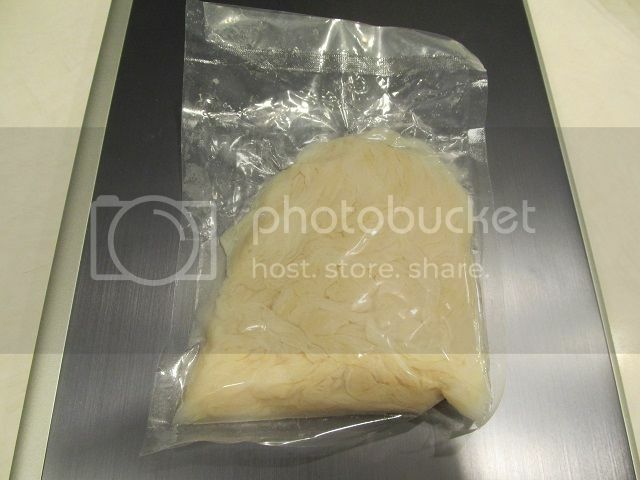 I place disks of waxed freezer paper between the frozen patties prior to vacuum sealing. 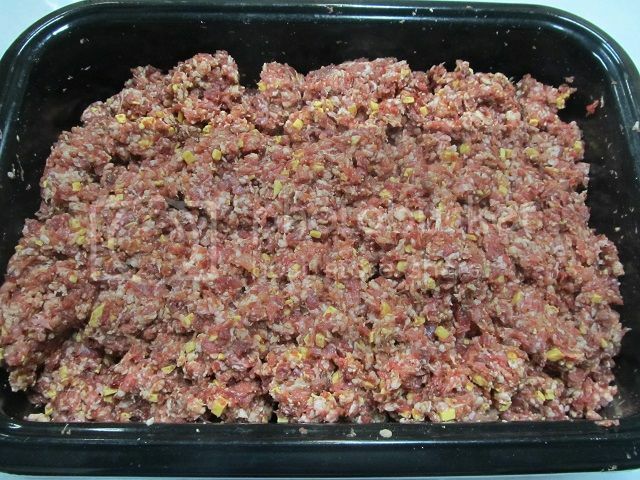 It makes separating the patties easier when its time to cook them. If you have a hankering for brats and some venison trim looking for a way to be used, this is an excellent option. You are a wealth of information. Thanks for your time and sharing of useful knowledge. Im getting ready to make some breakfast and Italian sausage. I like this kind of stuff, and what you have there looks really good. I have to give this a try. Thanks for sharing this info. 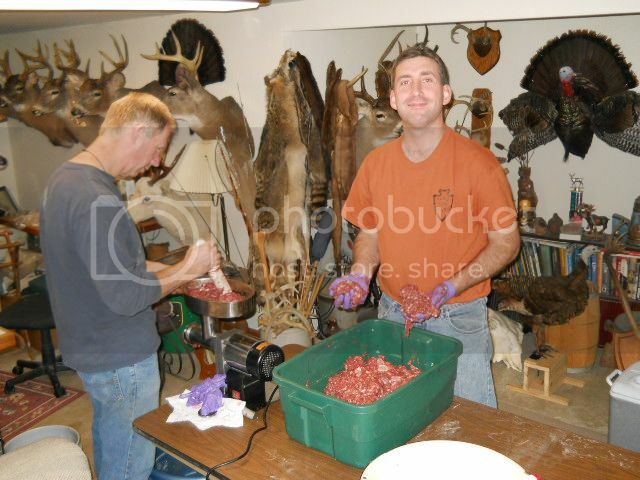 We just did this same thing, only I used black bear instead of venison. 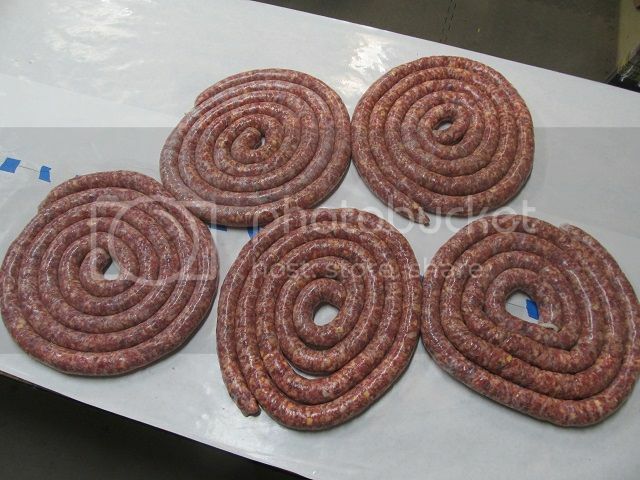 We have been making these venison brats for years. I like the idea of patties . We usually do that with the leftovers that don't go through the stuffer and eat em while we package all our brats. We chop onions and peppers and mix it in with the meat too before stuffing, adds flavor. Great thread, thanks for posting. We made these last year, they were the jalapeno cheddar... Very Good. also made mushroom and Swiss and German style. 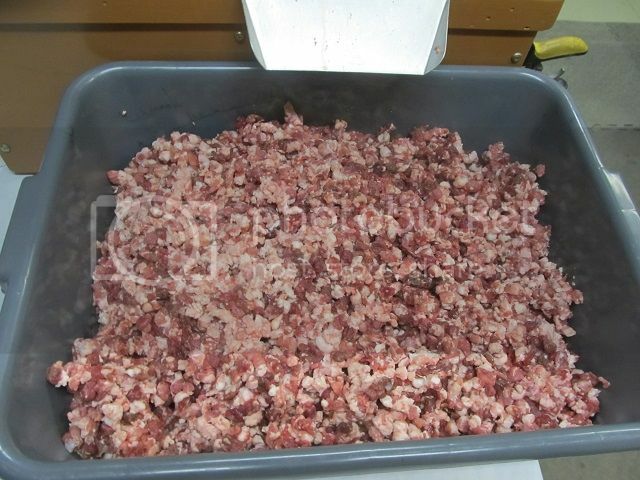 another thing which was a very similar method was Chili dogs which were smoked before packaging. come to think of it,I'm going to defrost some brats now for tomorrow night.